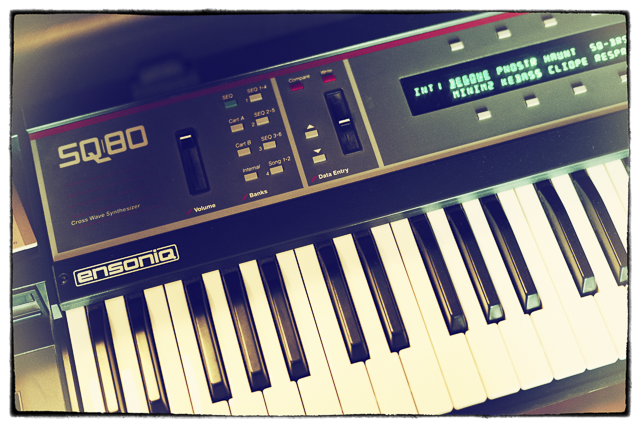 WaveCrest continues our fascination with the gritty sheen of early digisynths – in this case owing its sound to the lovely grainy warmth of the Ensoniq SQ80. 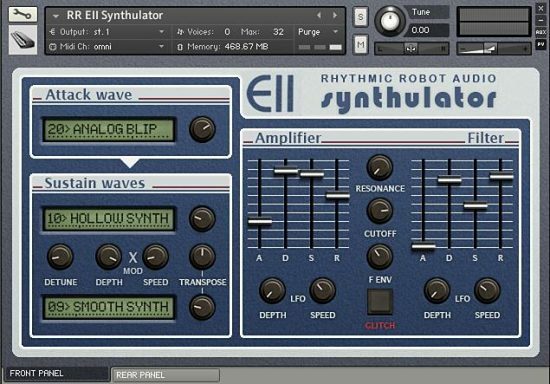 Where the original keyboard has a familiar 3-oscillator architecture, though, WaveCrest departs from tradition in favour of something a little weirder: six cyclical oscillators plus an attack wave. The six cyclical waves are governed by phase-adjusted LFOs so that they rise and fall within the overall patch, constantly shifting its timbre. By choosing which waves are in play, and how quickly they cycle, you can dial up mellow swooshes of slowly-evolving sound, or shiny metallic patches that aren’t a million miles from a poor man’s PPG. Onto the front of the cyclical waves you can also graft one of 12 Attack samples, making it simple to add a characteristic flute chiff, string bow or guitar pluck to the sustaining sound. These attacks can be independently adjusted for level, so it’s perfectly possible to create patches without them for more impressionistic soundscapes. Each cyclical wave can be selected from a pool of 54 waveforms with the common Wave Select slider. 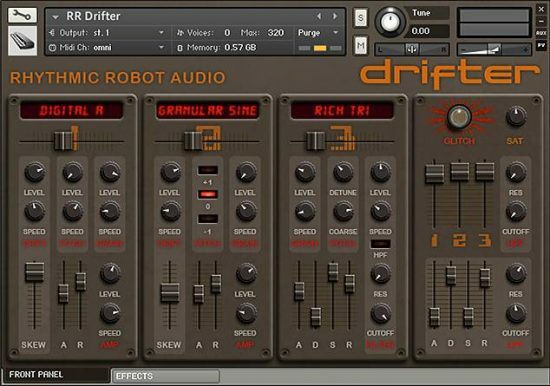 These are arranged in a musically-sensible way with mellow, warm-sounding waves at the bottom of the slider and bright, brash, metallic waves with higher harmonic content at the top. This makes it very easy to create patches which either shift subtly (choose six waves from a limited area of the slider’s travel) or incorporate drastic tonal variation (choose alternately from the top and bottom of the slider scale). Then adjust how swiftly they cycle using the Sweep Rate knob, which has a range of approximately 10 seconds to 1 second. Or, of course, you can click at the Glitch button, which randomises the whole shebang – although it’s cleverly predisposed to give you musically-useful results. 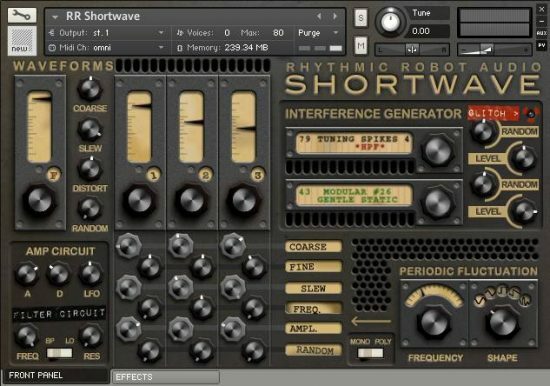 The whole smoothly-shifting waveform can then be further sculpted with the switchable 2- or 4-pole Low-Pass Filter, the dedicated High-Pass Filter, various LFOs, an Overload Circuit (for a bit of analogue-style warmth), and a Grain control which progressively reduces the bit-depth and sample rate for some bitcrushed, even-more-digital grunge. Round the back there are of course our usual Effects, and tucked down beside the Wave Select slider there’s also a convolved Lexicon digital reverb for some period-authentic gloss. 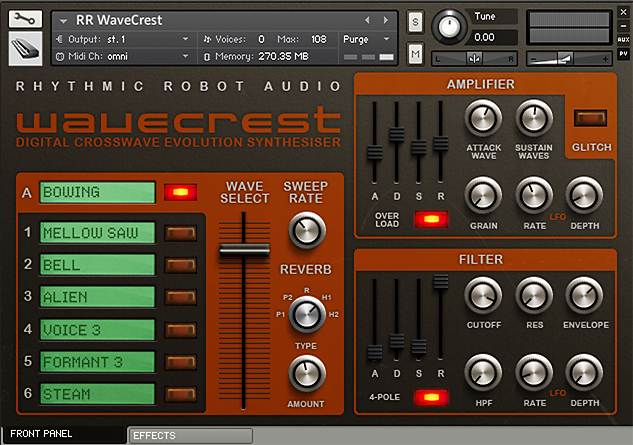 WaveCrest excels at unashamedly digital pads with a lot of tonal movement: think the kind of sounds in the background of Peter Gabriel’s early albums. 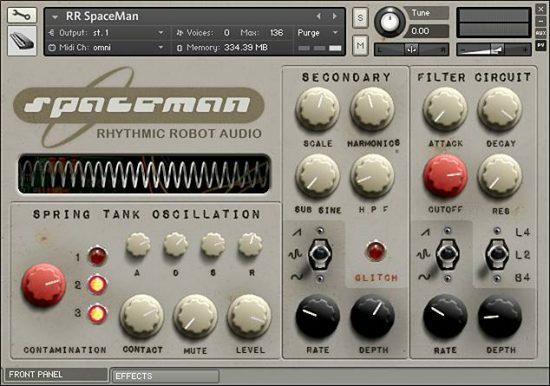 Because the sound is designed right from the ground up to be cyclical and evolving, it’s great for drones and sustained parts; though the Attack waves mean you can also get some cool percussive or tine-based sounds from it too. Whether you want something subtly shimmering or dramatically involved, WaveCrest can dial it up. (All our Kontakt instruments require a full copy of Native Instruments Kontakt v4.2.3 or higher (including all versions of Kontakt 5). Kontakt Player is not supported: instruments will load, but will time out after 15 minutes. See the FAQ for further information.) 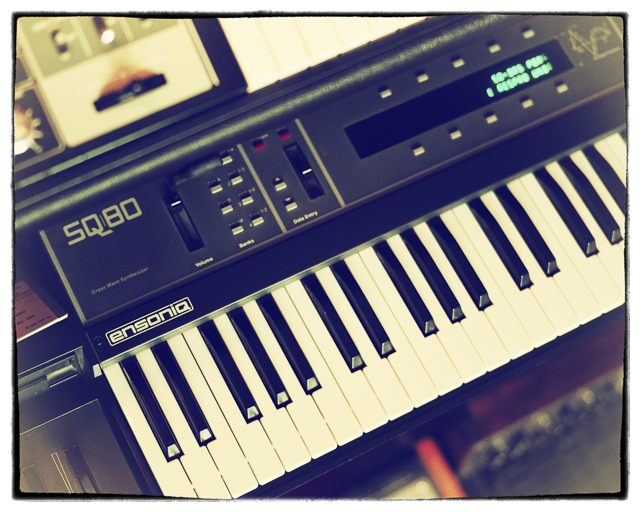 You can read more about the original hardware Ensoniq SQ80 here. Really exciting! Very different, which I love. The only problem I found is that the Release sliders are all but inaccessible. The nearest knobs area of effect covers them. Still I’m having a blast with all the strangeness. Good job RR! I’m really pleased to report that we’ve traced the irritating UI bug you describe and killed it dead! The knobs no longer interfere with the sliders. Thank you for spotting it, and for the kind review 🙂 Any existing WaveCrest users can now re-download the bugfixed version from their User Area page. Very well done guy’s. I have waited for a true SQ80 library for quite so time now, and here it is! Loaded and played a few patches as soon as the download completed …6 voices at once just waiting to be manipulated 😉 I believe I am going to have more fun creating patches with this awesome release than I did with the PatchVault HT6000. Thank you, and keep up the awesome work!